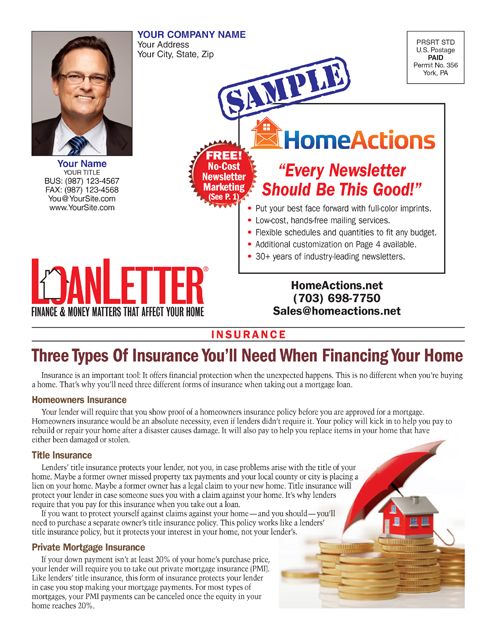 Cultivate customers and ask for referrals in style with the 4-page, full-color LoanLetter™ filled with helpful tips and insightful articles covering mortgage financing, refinancing, taxes, home buying and more! Your mortgage clients, prospects and referrals will find each issue informative and worth saving, and they’ll pass it along to friends and relatives ready to refinance or buy!. 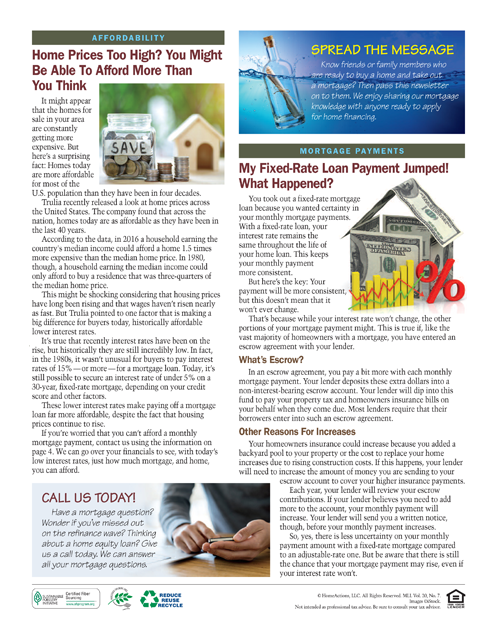 Monthly full-color, 4-page newsletter. 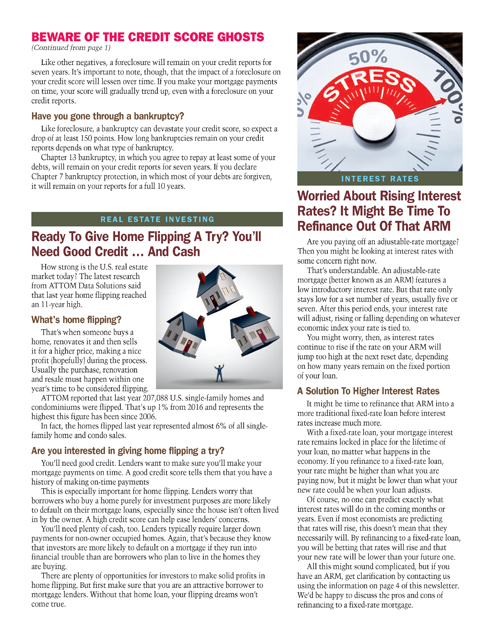 Every month insightful articles provide authoritative advice — from how to sell in today’s market and take terrific tax breaks to relocating stress-free and mortgage financing. Monthly full-color, 4-page newsletter. EDDM HomeActions Newsletters – ready-to drop at local post office. Every house. No lists. Low postage. You benefit when neighbors and friends pass along your invaluable Newsletters. 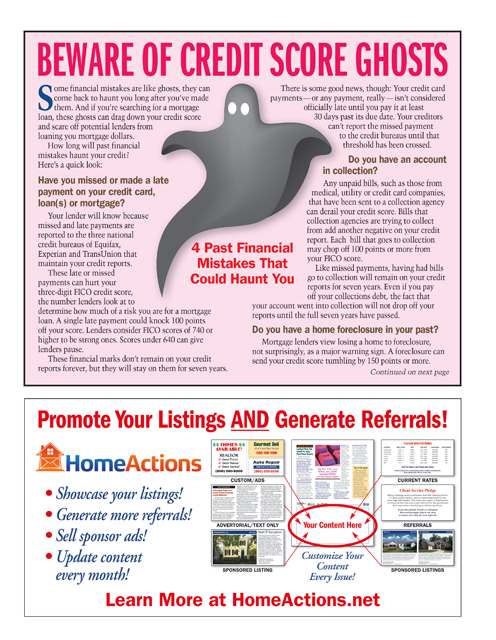 Home Report Newsletters are the perfect way to keep in touch, and generate more business. With Home Report Newsletters, your marketing is delivered to every home every time, no mailing lists needed.